There has been a lot of discussion around the office lately about the relationship between energy management and power management. While sometimes used interchangeably, the distinction made between these two disciplines typically involves analysis of power distribution systems for energy cost saving (energy management) or for improvement of electrical reliability or availability (power management). Of interest to my colleagues has been situations where these disciplines overlap or impact the other. A commonly raised example is in the implementation of energy conservation measures that are expected to improve efficiency and lower energy costs but that end up causing unplanned problems that negatively affect electrical network reliability. One example is with poorly conceived load shedding and power control solutions that degrade normally reliable utility power delivery. Another even more common example is in the introduction of “energy saving” non-linear loads that end up generating power quality issues within a facility. For example, power quality issues can be found with the introduction of variable frequency drives (VFD) that reduce the current draw of large electrical motors or with LED lighting systems that use a semi-conductor to convert incoming AC power to DC to produce light levels equivalent to traditional incandescent or florescent light while reducing kW consumption up to 75%. While many of my past posts to this blog have been focused on ways the Internet of Things (IoT) has impacted electrical power distribution and the Critical Power EcoXperts who are on the front line of this new frontier, developing unique opportunities that are IoT enabled, for this post, I wanted to dig deeper into this relationship between managing energy cost, while maintaining strong energy quality (and therefore reliability). 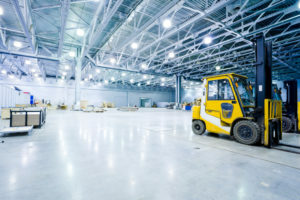 LED lighting is a great reference point for this, and so I’ve connected with a few colleagues to help explore the common power quality concerns raised by a LED lighting retrofit, and how the proliferation of LED’s in commercial buildings is changing the expectation of system integrators who work in those buildings. Inrush current and circuit breaker nuisance tripping. Harmonic distortion and transformer overheating. Voltage distortion and LED degradation. Remi’s experience has shown that the adage above holds true: depending on the facility, and the person that we are talking to, the PQ issues above may or may not be an immediate concern. More often, it is common for electrical issues to become a concern only after the impact becomes apparent in the form of a PQ event that impacts the electrical network’s expected performance. 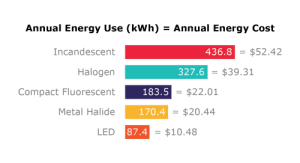 For more on information on these topics related to LED lighting, Remi suggests you look at a White Paper he has authored that specifically reviews the Power Quality Impact of LED Lighting. An important consideration is suggested in the White Paper, which is that while a single LED light may have very marginal impact on a facility’s electrical distribution network, a whole system of LED lights, and in particular LED lighting loads that share a circuit, there are cumulative effects related to harmonic distortion that pose a significant stress on electrical assets (capital assets!) such as cabling and transformers. I work with the brightest system integration companies in the world that are involved in the development of power management systems. These Critical Power EcoXperts use connected devices and edge control software from our EcoStruxure Power domain of expertise to monitor PQ conditions, and leverage connected service to help alert facility managers about issues before they become problematic. Monitoring harmonics and evaluating harmonic compliance is nothing new to most of them, in an industrial or critical power environment. Something has changed though; we are now seeing facilities like shopping centers, commercial properties, and campus’ where harmonics issues were never considered problematic before, that are now looking at this as a real threat to power reliability. In these types of facilities, our EcoXperts who are certified with a Building Management System (BMS) badge, are more likely involved with the facility managers on traditional hvac control topics. To understand their perspective better, I connected with my colleague, Martin Feder, who is responsible for Schneider Electric’s BMS EcoXpert network, and has a huge amount of experience with EcoStruxure Building domain. In his view, identifying power quality issues caused by LED lighting and other sources is becoming a standard expectation from the BMS solution by customers today and hence the knowledge of the BMS EcoXpert must be able to identify how to connect, analyze and then work to develop a mitigation plan for any such disturbances. As the building management system becomes the digital hub of the building, in effect the central core control system with connectivity to other Building systems, such as Access Control, Security and of course the Power Management System. The BMS system integrator needs to have a good understanding of these other systems to be able to ensure that their influence on the overall building performance is monitored and controlled in harmony with the buildings other systems and dynamics. BMS EcoXperts that want to help monitor for potential issues caused to an electrical power network by LED lighting can take training from Schneider Electric to gain another badge in the EcoXpert Program: Critical Power. Alternatively, they can partner up with a company that has this Certification, and work together to provide their customer with a well-rounded solution. In the case of LED lighting, and mitigation of power quality concerns, including the elimination of harmonics, a Certified Critical Power EcoXpert will be able to specify an innovative active filtering solution using Schneider Electric’s award winning Accusine product. As you can see, the relationship between energy management and power management is unique, and there are real challenges to facilities that want to truly improve their performance. Energy efficiency and operation efficiency are both possible, and working with service providers that understand this relationship is a great place to start.